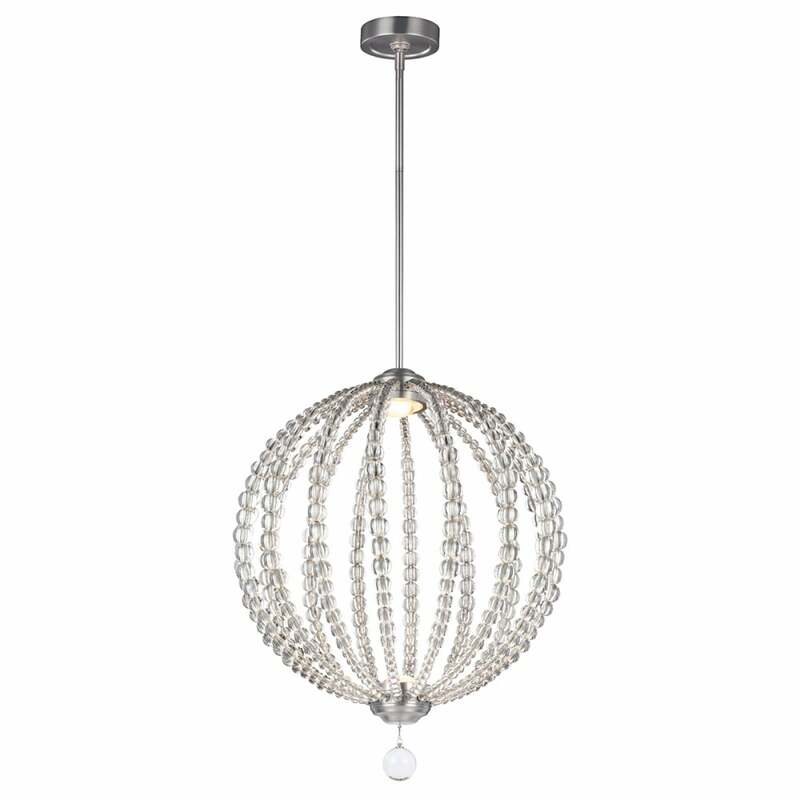 A decorative globe frame ceiling pendant in a satin nickel finish with clear Rondure bead detailing. The light is LED lit by two 8 watt modules at the top and bottom of the globe frame, this gives the illusion of bulb-less lighting. It is also very energy efficient using a total of only 16 watts but providing around 1600 lumens or the equivalent of about 150 standard watts. The light is suspended on a rod suspension and is supplied with one 15cm and four 30cm rods for situating at various heights. This would be great for lighting in a contemporary dining room or long drop stairwell. The light emitted is a warm white and further warms when dimmed from 2700K to 2200K. Cable / Chain Length (cm): Supplied with 1 x 150mm and 4 x 300mm rods.